One of the most common problems that many first time home buyers face is that the process can be quite daunting. Because of this, many of them are tempted to purchase the first house that falls within their budget or just continue renting a place. There are many things you need to consider to make sure that you make the most out of your purchase. These include taking into account certain factors, setting expectations about the buying process, and tips to make your life easier after buying your first home. Knowing what your long-term goals and how buying a home fits in your plans are the first things you have to do. Perhaps you are want to transform those squandered rent payments into mortgage payments that will result into homeownership. Many people consider homeownership as an indication of independence and like the concept of becoming their own landlord. Once you narrow down your homeownership objectives, you will be on the right path. Provided below are five important questions you have to ask yourself. What Kind Of Home Meets Your Needs? You have a lot of options when buying a home. There’s the conventional single family home, a condo, a townhouse, a cooperative, or a multi-family building that comes with two to four units. Every option has its own set of advantages and disadvantages, based on your homeownership objectives, so you have to choose the best type of residential property that can help you achieve your goals. You may even reduce the purchase price in a certain category by opting for a fixer0upper, even though the amount of time, money, and sweat equity involved to convert a fixer-upper into the house you’ve always wanted may be much more than what you bargained for. What special features do you want your home to have? Although it is good to maintain some flexibility on your list, you will most likely be making one of the biggest purchases in your whole life, and it is only natural for that purchase to meet your wants and needs as closely as possible. Your list must include your basic needs like the size and neighborhood as well as smaller details like the appliances in the kitchen and the bathroom layout. Before you begin shopping, you have to know how much a lender is willing to give you to buy your first home. You might think you can afford a home that’s worth $300,000 but lenders can only give you $200,000 based on factors like your debt, monthly income, and tenure at your current job. However, there are instances when a bank will offer you a bigger loan for a house than what you really want to pay for. Just like when you are buying a new car, you have to check the total cost of the house and not only the payments you need to make per month. Of course, the latter is also important as well as the down payment, property taxes, homeowners insurance, home improvement costs, and closing costs. Who Will Help You Find Your Dream Home and Assist You With The Purchase? A real estate agent can assist you in finding your dream home that suits your basic needs and budget. He will also meet with you so you can view potential homes. When you have selected a home to purchase, these experts can help you in negotiating the entire purchase process. This includes making an offer, obtaining a loan, and finishing the paperwork. A reliable real estate agent are experts in this field, which can help you protect you from any challenges that you might come across during the process. Now that you have finally decided to buy a home, the next thing to know what you have to expect from the actual home purchasing process. This is a messy time with lots of offers as well as counter offers going around furiously, however, if you are well prepared for the paperwork and the hassle, you will be able to get through the whole process without going insane. Here’s what you need to expect. Be sure to use all of the available options when looking for houses in the market, including your Myrtle Beach real estate agent, looking for listings over the web, and driving around the neighborhoods that you are interested in. Additionally, put some feelers out there with your business contacts, family, and friends. You’ll never know where a lead or good reference might come from. Think About Your Financing Options and Secure Financing. First time home buyers have a number of options to assist them in getting a home such as federally backed loans as well as loans for people who do not have the basic 20% minimum down payment. Your state might likewise have its own programs for people who are looking to buy their first home. The mortgage interest rate will likewise have a huge impact on the overall price that you have to pay for your house, so be sure to shop around. It will really help you out. Your Myrtle Beach real estate agent can assist you in deciding how much you should offer for the house together with any condition you would like to ask for such as asking the buyer to cover your closing costs. Your real estate agent will then give the offer to the seller’s agent; the seller will then have the option to accept it or issue a counteroffer. Then, you can either accept the counter offer or continue back and forth until both of you reaches a deal or move on to another offer. In case you reach an agreement, you will make a good faith deposit and then move the process into escrow. Escrow lasts about 30 days and it is when the seller will take the house off the market with the expectation that you will purchase it – as long as you don’t find any serious problems with the house when it is inspected. Although the home that you are interested in buying seems to be perfect, there will never be a substitute to having a professional home inspector check it for quality, safety, as well as its overall condition. In case the home inspection shows serious problems that the seller failed to disclose, you will have the chance to rescind your offer and get your deposit back. In case you find yourself in this situation, you can also ask the seller to make the repairs or lower the selling price. In case you managed to make a deal with the seller or if the home inspection did not reveal any problem, you are now ready to close the deal. Simply put, closing involves signing a lot of papers in a short amount of time while hoping that nothing bad comes up at the last minute. Things you need to address and pay for the last stages of your purchase may include having a home appraisal, which is needed by mortgage companies to safeguard their interest in the house, performing a title search to ensure that nobody apart from the seller has a claim to the residential property, getting private mortgage insurance or maybe a piggyback loan in case your down payment is below 20%, and finishing the mortgage paperwork. Becoming a homeowner involves having to deal with unexpected expenses, such as obtaining a new water heater or changing the rain gutters. Start saving for an emergency fund for your house so you will not be caught off guard in case you encounter these issues. A home purchase is a huge investment and it is only natural for you to make sure that it is well taken care of. You can lower your repair costs with regular maintenance, which allows you to fix problems when they are still small rather than when they are big and costly to repair. It does not matter how much your home costs at any given time except the moment when you decide to sell it. 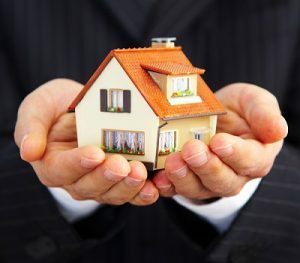 Having the ability to choose when you can sell your house instead of being forced to do so because of financial distress or job relocation, will be a significant determining factor of whether you will be able to see a solid profit for this huge investment. Never Rely On Selling Your Home To Fund Your Retirement. Although you own a house, you still have to save the maximum in your retirement savings account annually. 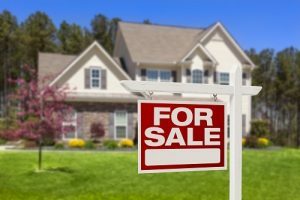 Even though it might seem difficult to believe for anybody who has observed the wealth a lot of people made during the housing bubble, you will not necessarily achieve great financial success by selling your house. In case you would like to refer to your house as a source of your fortunes once you retire, keep in mind that when you have finally paid off your mortgage, the money that you used to spend on monthly payments can be used for your medical and living expenses once you retire. This overview should help make your home buying experience less stressful and more memorable. Keep in mind that by educating yourself about the home buying process ahead of time, the less stressful the process will be and the more likely you will find your dream house for a price that you can afford. Call Full Potential Real Estate, LLC if you need the assistance of a professional real estate agent in finding your dream home.